The largest automotive recall in history continues, and millions of cars with potentially deadly airbags are still on the road. 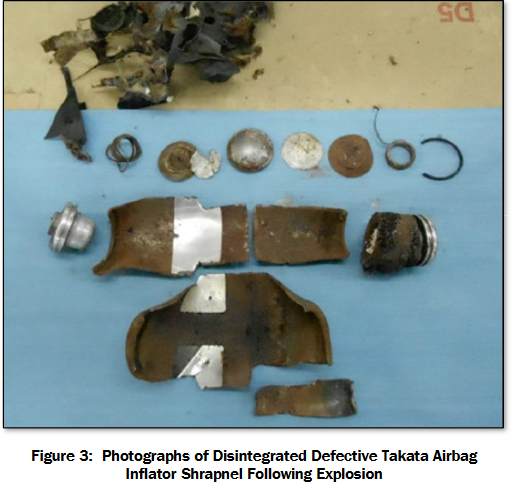 A federally appointed independent monitor overseeing the recall in the U.S. just issued a new report, entitled "The State of the Takata Air Bag Recalls." You can find a link to that report here. But first, a warning about that report if you're at all squeamish. 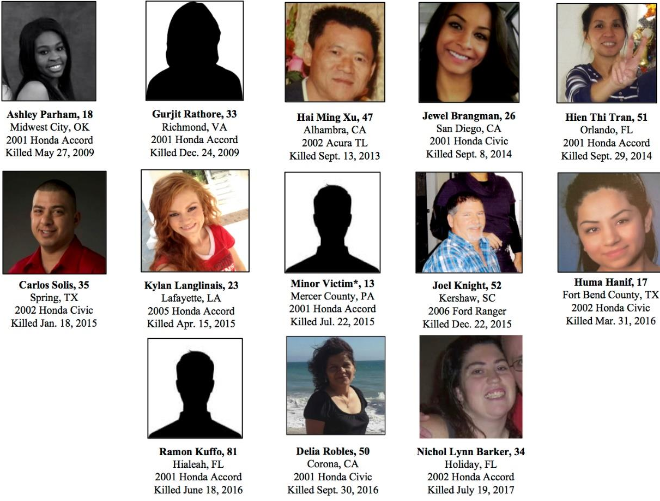 The monitor, John Buretta, didn't hold back when describing the gruesome injuries of the 13 (now 14) known victims killed in the U.S. when the Takata airbags in their cars exploded, sending shards of metal at high speeds towards them. "The injuries caused by the shrapnel were so extensive that police responding to the scene initially thought Mr. Xu had been shot in the face," reads one description. "Metal shrapnel severed Mr. Solis's neck," reads another. In addition, there are some unsettling photos, especially the one taken of Air Force Lieutenant Stephanie Erdman in the hospital, after the airbag in her 2002 Honda Accord exploded in an accident. Erdman survived, but she was required numerous surgeries, and is permanently blinded. In addition to the 14 people killed, hundreds more have been injured, yet there remain nearly 30 million vehicles on the road with original Takata airbags in them. 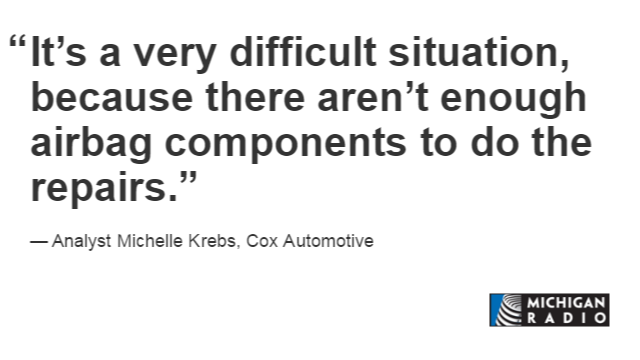 In Michigan, about 391,000 unrepaired recalled vehicles are still on the road. The report details the difficulty of getting owners of the vehicles to respond to recall notices, even in regions that have exposed the airbags to multiple cycles of high temperatures and humidity. That poses the highest risk for the unstable chemicals used in the airbags. Yet many people remain unaware of the recalls, or they don't think they are important. The report says pilot projects and focus groups show that recall notices with words like "faulty" or "defective" are often not enough to get the owner's attention. 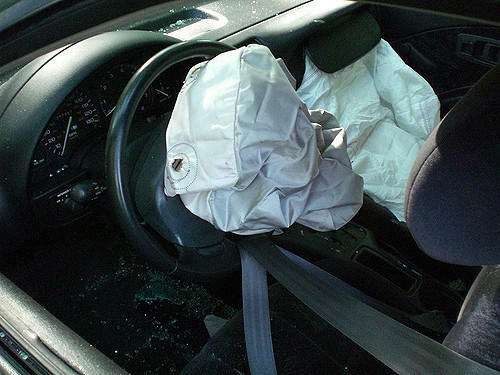 People who receive emotional notices that stress that their unrepaired airbag could hurt or kill them are much more likely to contact a dealer. 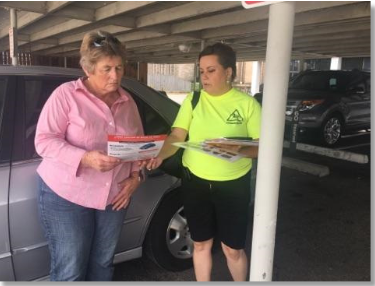 Automakers that have instituted door-to-door canvassing of people who have failed to respond to mailed notices are showing the best response rates. The report also notes that because of the massive number of vehicles in the recalls, repairs were delayed for some people because the correct replacement airbag was not yet available, even though they had received a recall notice. That is becoming less of a problem; today, when customers receive a recall notice, the automaker has generally made sure replacement parts are already in full supply. Another alarming situation is occurring because people may be driving cars where the airbag was replaced at some point with a faulty airbag. 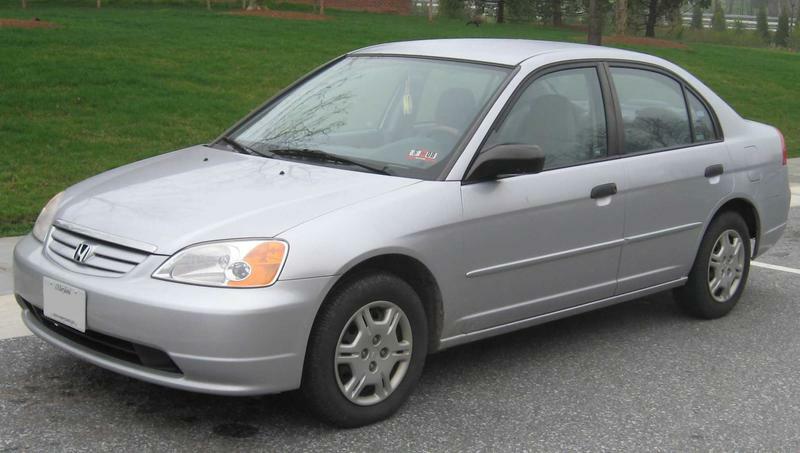 The most recent victim killed was driving a 2004 Civic with a 2001 airbag in it. That 2001 airbag is part of the most urgent recall: 2001 to 2003 Honda and Accord vehicles, with airbags that were built in a Takata factory that had inadequate humidity controls. These vehicles are essentially ticking time bombs, with a 50 percent chance of the airbag exploding during an accident. As many as 120,000 of these cars may still be on the road. Honda and other manufacturers are now trying to collect used Takata airbags from salvage yards around the country, and they are asking online auction sites not to sell them. People who don't know if their vehicle is part of a recall can go to AirbagRecall.com to find out. Japanese supplier Takata filed for bankruptcy, with most of its assets going towards restitution to victims and car companies, government fines and penalties, and ongoing expenses to manufacture replacement airbags. Honda is stepping up its effort to get some of the most dangerous recalled cars in the country repaired. A federal judge has chosen a new "special master" to oversee Takata restitution payments. That's after the first proposed special master, Robert Mueller, was appointed to lead an investigation into Russian interference in the 2016 presidential election.